Watch Gmail’s intro video for the new inbox design and they’ll state something many of us are all too familiar with: Inboxes can be overwhelming! Gmail is offering to help you deal with the clutter that email brings. The new design now features tabs that include primary, social, promotions and updates tabs to help you sort out what’s most important. Emails can easily be dragged from one tab to another leaving you in control of the emails you really need. Can’t find the new inbox or wondering if you have access to it yet? Check the little gear icon in the upper right-hand corner. If you see “Configure inbox” then you are good to go! 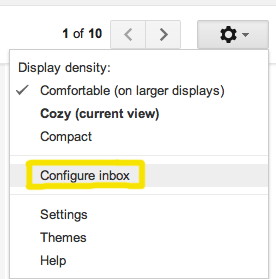 See “Configure inbox” in your settings tab? Then you have access to the new inbox design! 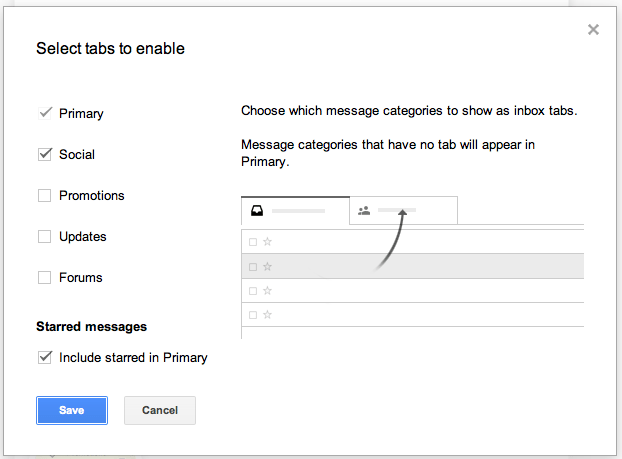 Enable the tabs you want along with an option to include your starred emails. Your emails automatically get set up according to the tab they belong in. You can easily drag and drop emails to move them to a different tab. The new inbox is available for your Android 4.0+ devices and iPhone and iPad. Google’s prepped more inbox tips, too. 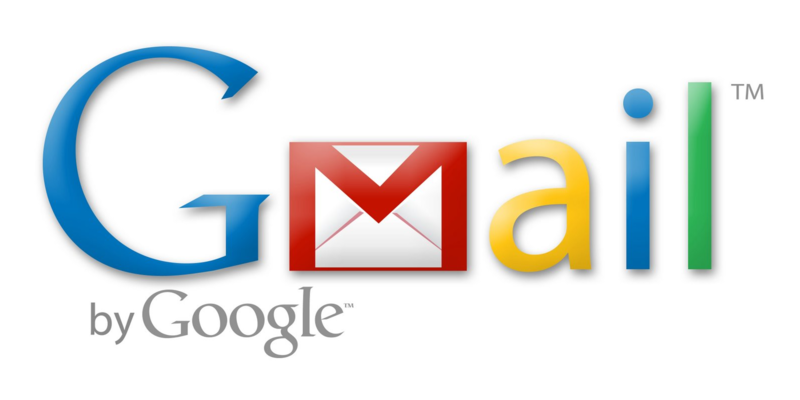 Watch the video from Gmail here and let me know what you think of the new layout.